Welcome to February’s Best of DMs Guild post, now in its regular slot on the last Wednesday of the month. Without any further ado, let’s get into it. This came out a couple of days after January’s post, and was sort of the catalyst for me moving this post to a regular, end-of-the-month timeslot. It came out in January, but I knew that if I were to include it in a post it would have to be this February one unless I edited the January post, which very few people would notice. So here it is, 6 weeks after it came out. Glen Cooper’s Deadly Dungeon Doors is fantastic – and that has shown in the response it got on DMs Guild. A really creative guide to creating a huge number of interesting doors to spice up your dungeons. It’s also got some fantastic artwork that really helps to visualise some of the more unusual combinations of doors. It’s $3.95, which is a bit more expensive than the products I usually recommend here, but it’s well worth it. I’ve already got a lot of use out of i in just the month it’s been out. If you like random lists and generators as much as I do, you owe it to yourself to pick this up. I’ve been playing some fun little two-player one shots set in a Cthulu-conquered Victorian London recently, and this book has played a large roll in filling out that world. 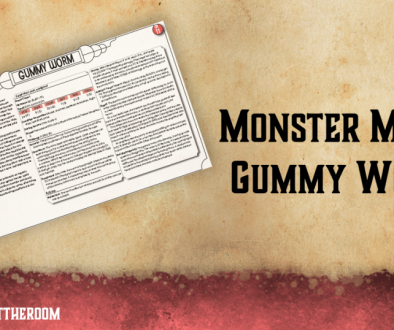 There’s a ton of stuff here – new character options including an interesting Warlock Patron and an Incredible Hulk/Mr. Hyde-esque Barbarian Path that looks like a huge amount of fun, a half-golem race, new monsters, construct monster templates that are fantastic, new spells, archetypes, and loads more. There’s a lot of stuff in this book that I’m really looking forward to getting to the table, and I’m actively building sessions around some of Forbing’s creations. It’s temporarily reduced in price to $1.95, and you should buy it. 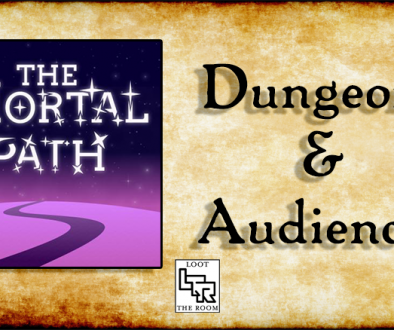 A fun – and free – encounter for low level parties from the man behind Encounters in the Savage Frontier. It’s a random encounter – more of an expansion to Encounters in the Savage Frontier – rather than a full adventure, but it’s very well written and utilises a creature I’ve always liked and don’t often see in play – Kenku. It contains some great maps by Elven Tower, and it’s free. I really like Patrick’s maps, and his map packs are a great way to get a whole lot of good, high-quality maps in one fell swoop. There are 20 in here with a good variety of styles (I particularly like the old school blue and white maps), all of which can be used in your own adventures for DMs Guild and many of which work well in apps like Roll20. For a single dollar, they’re well worth it. I use a ton of paper miniatures in my games, and these have quickly become one of my favourites. It’s no secret that I love Beholders – my current game is full of Spectators and Gauth, because a real eye tyrant would end my game immediately at this point – and this is one of the best printable ones I’ve seen. It’s Pay What You Want, and I love it. That’s all for this month. 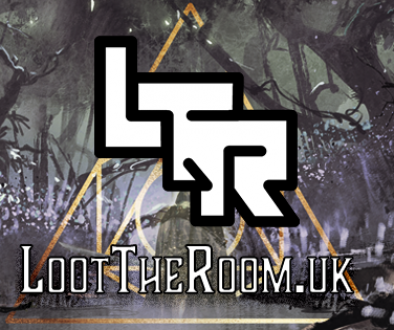 If you have something coming out in March that you’d like me to take a look at to consider for next month’s post, drop me a line at chris@loottheroom.uk and I’ll get back to you. And if you feel like supporting this site, please consider checking out my own DMs Guild products – including my rumour generator, Strange Tidings, which came out this month. A couple have been bookmarked for later perusing and the Encounters in the Savage Frontiers looks top-notch too! Thanks Duncan! Encounters is definitely worth checking out – there’s a lot of talented people involved in it.